This is the 32bit version, if you’re looking for the 64bit version, click here. If you’re unsure or have less than 4gb of RAM use the 32bit version. Built in media creation options for USBs and DVDs. If you’re on an Enterprise edition, the media creation tool won’t work for an upgrade. IMPORTANT: To upgrade for free, select Upgrade this PC now in the tool. You should NOT be asked for a product key during the upgrade process. If you create a USB and use it to install, make sure to remove the USB as soon as setup begins. If you don’t, you may be prompted for a product key. 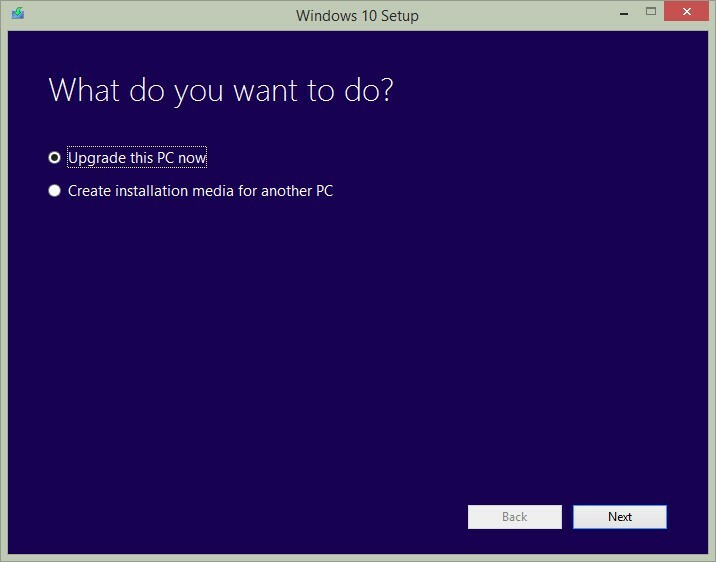 If this happens, remove the USB and restart your PC to continue with setup. Will you be running the tool from a 32 bit or a 64 bit device? Download the version for the device that will run the tool.